Elegant Karl has tuxedo-like styling cut from satin-back crepe. The pant is expertly tailored for flattery while a refined satin lapel makes the look feel extra special. Absolutely love this jumpsuit but it is tricky to get into. But once you put it on it is absolutely beautiful and comfortable. 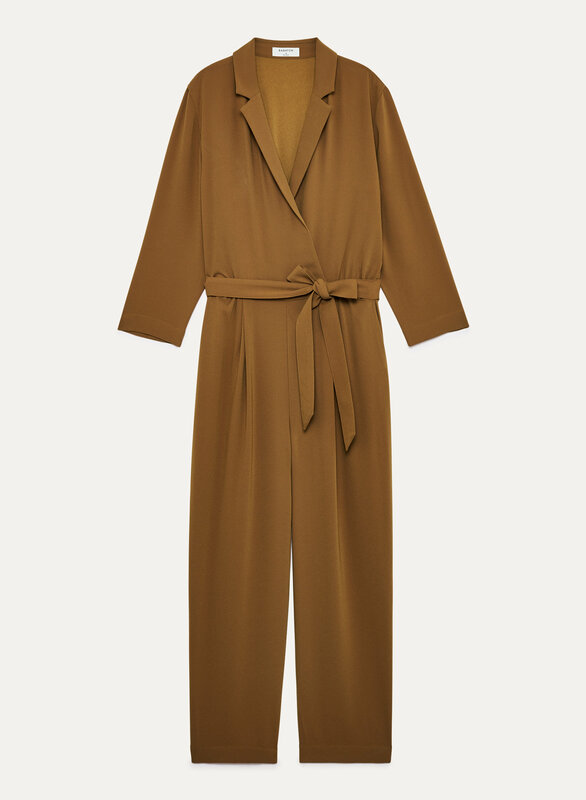 Perfect to wear to work and then transition to the evening. 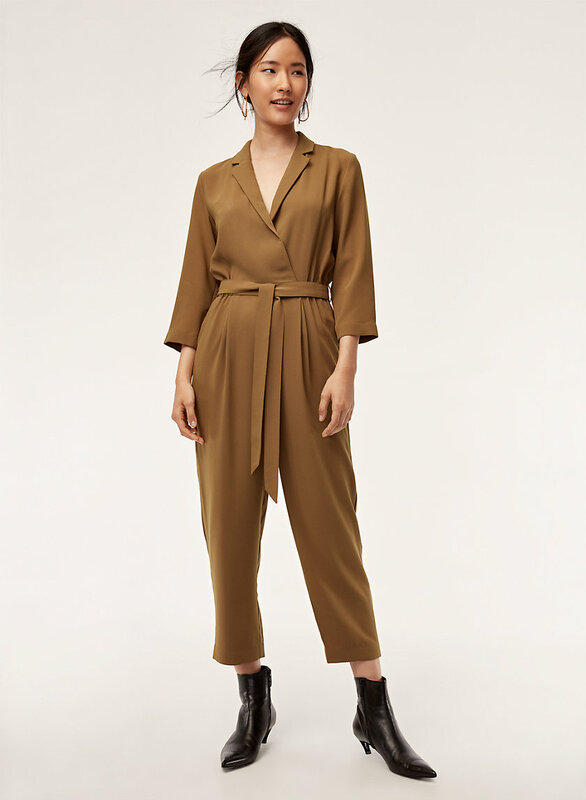 I love the idea of this jumpsuit, but it is really difficult to get on and off (especially going to the bathroom!) when I put it on, I have to pull the sleeves over my back and shoulders, then I find I get deodorant all over front. This happens every time... It is also a bit low in the front, but that I fix with a little clip.